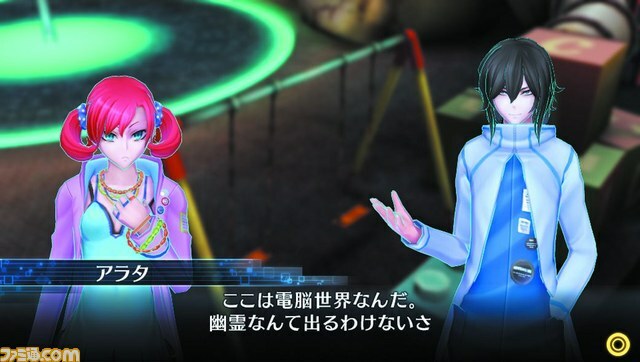 DIrect-feed screenshots of newly revealed characters. 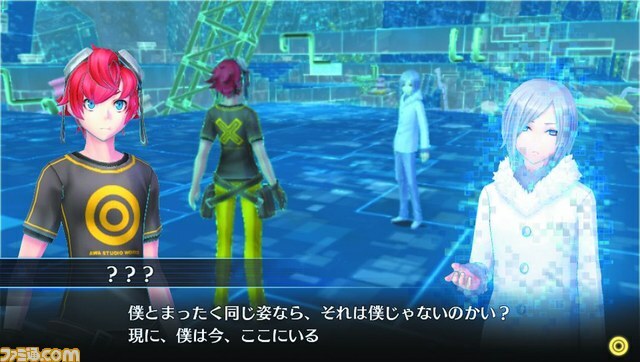 In Digimon Story: Cyber Sleuth, various rumors are circulating cyberspace EDEN. 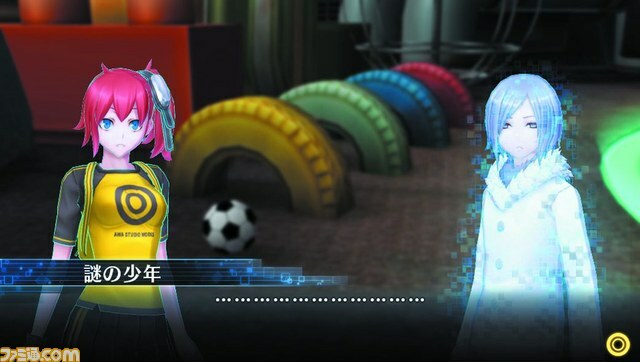 Famitsu’s latest online preview of the game introduces one of them. The “Mysterious Boy” is a ghostly boy dressed in white rumored throughout town. The rumors say anyone who meets him will be unable to return to the real world. He appears before the protagonist in the lowest layer of cyberspace. The preview also looks at Eater, a glitch within cyberspace that appears without warning one day, consuming the data of humans and Digimon alike should they get too close. It appears before the protagonist while exploring the lowest layer of cyberspace. Find two more screenshots below. 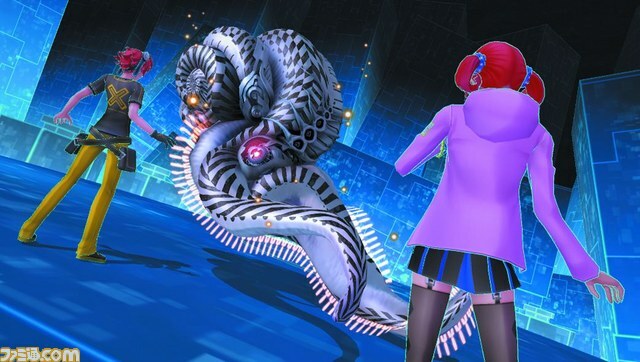 Digimon Story: Cyber Sleuth is due out for PS Vita next year in Japan.